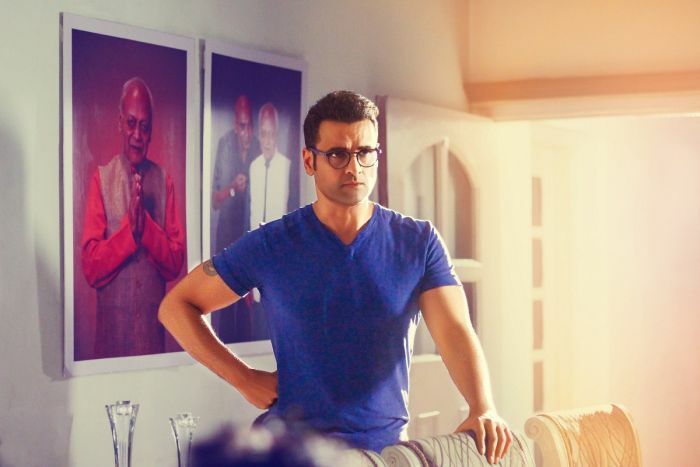 Best known for his roles in Hindi television serials like ‘Des Mein Niklla Hoga Chand’ and ‘Swabhimaan’, Rohit Roy also acted in movies such as ‘Kaabil’, ‘Ek Khiladi Ek Haseena’, ‘Apartment’, ‘Plan’ and ‘Shootout At Lokhandwala’ among many others. My journey across movies, television, digital and theatre has been organic. It has been somewhat of a struggle without a godfather but I am glad I have got interesting work in spite of my non-film background. Having said that, even after a super hit film like ‘Kaabil’ and my critically acclaimed performance in that, I haven’t yet got the kind of role I am hoping for. The very first time I heard Vikram’s narration, I was hooked. I knew this was special. The way Siddharth Sareen has delved into a dead person’s memories is fascinating. You have supernatural powers in the show. How was the experience shooting for it? This is a first for me. I am practically in every frame of the show either as myself or as a part of someone’s memories. So I will admit that the prep and shoot was exhausting; reliving someone’s trauma is difficult to portray on screen. Usually, I am an instinctive actor and don’t prep for a role. How was it working with Vikram Bhatt? I have waited for 20 years to work with him. I remember hounding him after seeing ‘Ghulam’ to get him to cast me in his next. I am glad that it has finally happened after two decades. The man writes better than most of these so called celebrated writers. I wish he wrote more though. What is the one characteristic an actor must have? I don’t know what makes one a good actor as I myself am still learning. But the one thing I learnt at the beginning of my career is an actor should know his lines like the back of his palm, everything else is easy once he feels what he’s saying. What is the biggest challenge when it comes to movies? The balance between realism and larger than life. Sometimes, Indian actors are so loud to show themselves as larger-than-life heroes that they lose the essence of what has to be portrayed. I have always been a naturalist and that’s probably why I find theatre a lot easier than films. The biggest challenge in web series? I have zero idea about what works and what doesn’t. The one big challenge is that every episode has to be engaging and leave the audience waiting for the next, unlike films. A role you would like to essay in the future? A double role is what I’ve always wanted to do. What is the impact of a profession like yours on relationships? Any profession which puts you in the public eye is a difficult one to handle. Relationships, successes and failures are all observed and commented upon. I am lucky that my wife Manasi, herself an actor, understands the demands of the profession. Reading, eating and travelling. I love to travel and so do my wife and daughter Kiara. We travel extensively and our bucket list includes visiting as many places in the world as possible. I am not the alpha male people think I am. I am quite a mumma’s boy. Secondly, I am scared of my wife; she’s the one who wears the pants in my house. Thirdly, I struggle constantly with fitness. People compliment me for my body but only I know the sacrifices I have to make. I am playing an interesting cameo in JP Dutta’s ‘Paltan’ based on the Indo-China war.